Part of VLM's mission is to provide opportunities for leadership development. 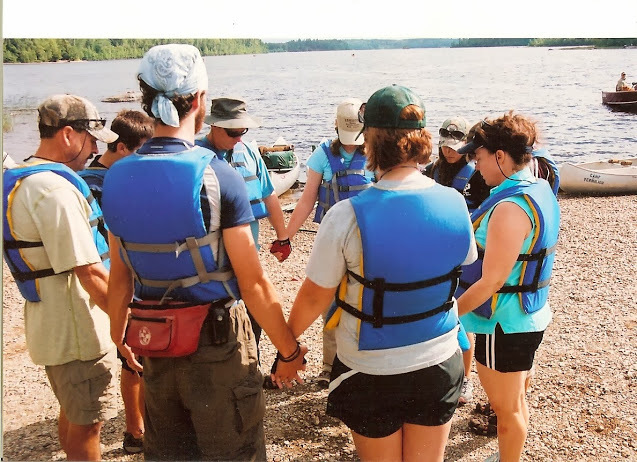 As you may have experienced as a camper, staff member or retreat-goer, leadership development happens within a group, usually while doing a task, with follow up discussion and reflection. Unlike camp, sometimes our culture shows leadership as powerful people squashing others. Once Jesus' disciples realized that Jesus was the Son of God, they thought they would be sitting pretty in glory and honor since they pictured the Holy One of God to be separate and "higher" than everyone else. The disciples expected powerful people like the emperor or local rulers to amass wealth and tell people what to do. But Jesus says, "whoever wants to be first must be last of all and servant of all." Jesus teaches that being a leader does not mean controlling other people, but being their servant. Do you think Jesus lived as a servant of all? Holy One, help us see that true power is not found in squashing others, but in serving them. As you heal, feed and save people, strengthen us to be the kind of leaders that look to the needs of others. Amen.